At 7:20 p.m. on the evening of Aug. 2, 1923, a terrible event of national importance occurred in the presidential suite of San Francisco’s Palace Hotel. President Warren G. Harding’s wife, Florence, was reading the “Saturday Evening Post” to him. The article in question was about Mr. Harding and appeared to please him because he was last heard to utter, “That’s good, go on.” Immediately thereafter, he shuddered and dropped dead onto his bed. As the week progressed, Harding seemed to be improving somewhat but that was merely illusory. The 29th president of the United States and the 6th chief magistrate to die in office was never a healthy man. (Since Harding’s death, two more presidents sadly have joined that list, Franklin D. Roosevelt and John F. Kennedy). He had long suffered from an overly nervous condition then known as neurasthenia. Some of his doctors warned Harding, while he was still in the U.S. Senate, that his multiple amorous affairs might physically injure his delicate and enlarged heart. Since at least 1918, Harding suffered from shortness of breath, bouts of chest pain, and difficulty sleeping unless his head was propped up on several pillows, all signs of congestive heart disease. Mr. and Mrs. Harding’s favorite doctor was an odd and charismatic homeopathic physician from Ohio named Charles Sawyer, who the president appointed as a Brigadier General in the U.S. Army and the chairman of the Federal Hospitalization Board. Harding’s other physician was the far better trained Joel T. Boone, a U.S. naval officer and Medal of Honor winner. Dr. Sawyer was given to dosing the ailing president with purgatives, laxatives and injections of heart stimulants, including the once commonly prescribed arsenic, which did not always sit well with Dr. Boone. Medical disagreements notwithstanding, President Harding’s doctors arranged for him to be examined while he was in San Francisco, by Ray Lyman Wilbur, the president of Stanford University, a president of the American Medical Association and a leading heart specialist. (Wilbur later became Herbert Hoover’s Secretary of the Interior, from 1929-1933). The nurses present on the scene instructed the Secret Service agent on duty to find Dr. Sawyer, who was down the hall, and Dr. Boone, who was out dining with General “Black Jack” Pershing. The first official to reach the death scene was the Secretary of Commerce, Herbert Hoover. By the time the president’s doctors arrived, around 7:30 p.m., he was already dead. The vice president, Calvin Coolidge, was sworn into office at 2:43 a.m. Eastern time, at his home in Plymouth, Vermont. Mrs. Harding refused all entreaties to allow the doctors to conduct an autopsy and instead ordered that her husband be embalmed shortly after his death. Dr. Wilbur was especially frustrated by this refusal because the press and a bereaved public blamed the president’s doctors for incompetence, malpractice and even plots of poisoning the president. “We were accused of being abysmally ignorant, stupid and incompetent,” Dr. Wilbur griped in later years. In 1930, Gaston Means, an embittered, former Harding Administration official, published a book entitled “The Strange Death of President Harding.” In addition to his short stint with the Department of Justice’s Bureau of Investigation, he was also a notorious confidence man and bootlegger who died in Leavenworth Prison in 1938, after being convicted for a con he tried to pull related to the Charles Lindbergh Jr. kidnapping. In his 1930 book, Means falsely claimed that Florence Harding poisoned her husband. He also gathered together tall tales and scandals within the Harding administration, including “Teapot Dome” and Prohibition violations, as well as Harding’s clandestine love affairs — one of which may, or may not, have led to the birth of an illegitimate child. 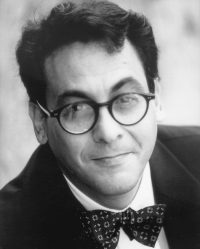 Mr. Means’ ghostwriter, May Dixon, later exposed the book as a pack of lies. Beyond the published falsehoods he asked her to record, her anger stemmed from the fact that Means failed to pay her any of the royalties owed to her. Nevertheless, rumors are powerful things and they continue to swirl about Harding’s memory to the present day. 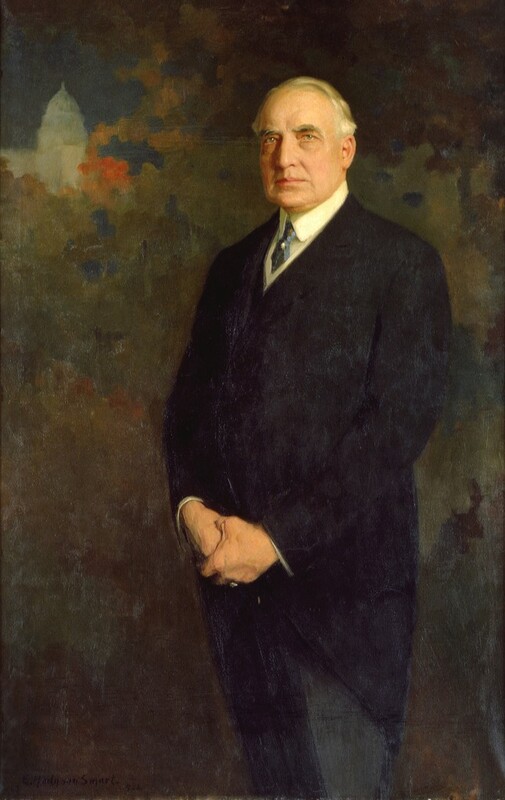 On the evening of the president’s death, Herbert Hoover sent out the official news that the president had died of “a stroke of cerebral apoplexy.” But it was most likely a sudden myocardial infarction, or heart attack, that ended Harding’s life at the age of 58, two years more than the average life span for an American male in 1923 (56.1 years). 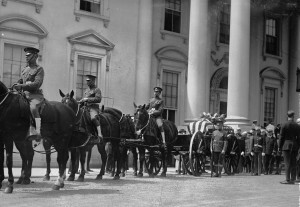 In the end, President Harding’s death was hardly strange at all, merely premature by 21st century standards. Editor’s note: This post has been updated to reflect the correct title of the 1930 book by Gaston Means, which is “The Strange Death of President Harding.” It has also been updated to clarify that Mrs. Harding was reading the “Saturday Evening Post” to the President the night he died.